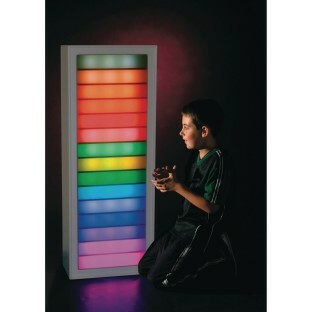 Sense-sational ladder features 15 brightly colored rungs and 7 different modes that respond to sound. More of the lights activate in response to louder sounds picked up by a built-in microphone. 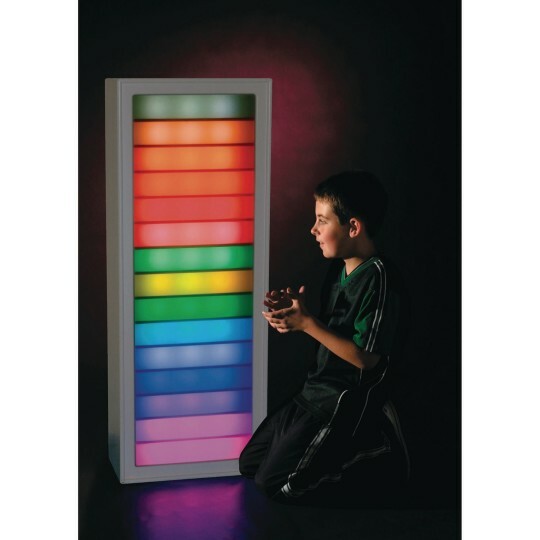 This simple and spectacular visual effect is always a favorite with speech therapists and others in the field of speech and communication to encourage vocalization, breath control and regulated volume. Ladder Lights are beautiful and give you more options to keep your clients guessing, with improved sensitivity control and control over how long the lights stay lit. 8"L x 15"W x 42"H.